It is very easy to catch up on what went on in Sarajevo and that whole region during that dark period – the Serbians were inhuman toward the Bosnians, It is very hard to believe that the general Serbian populace didn’t know what was going on……………. I remember speaking to an old German lady who had lived all her life in the shadow of the Belsen concentration camp – she had no idea what went on there through the war years either. Like the Serbians you have met she was a lovely person (the granny of a friend). The German people who lived in the area around her welcomed me and were very friendly – their needs, wants and aspirations were similar to mine. We will all have met people from countries where at some time or other the people of that country (usually for nationalistic reasons) have carried out the most appalling atrocities……..in these I number Africans, Arabs, Russians, British and ……..Irish. Yet in all of those places I have met genuinely friendly, pleasant and welcoming people…………I hope that I came over the same way to them. What is it that makes us regulary break through this thin human crust and turn into monsters. I don’t think that it is any use us pretending that those things are always carried out by them over there, they are carried out (or certainly condoned) by people like us. Whilst I would like to think I would act differently, I am glad that I haven’t been put to the test. 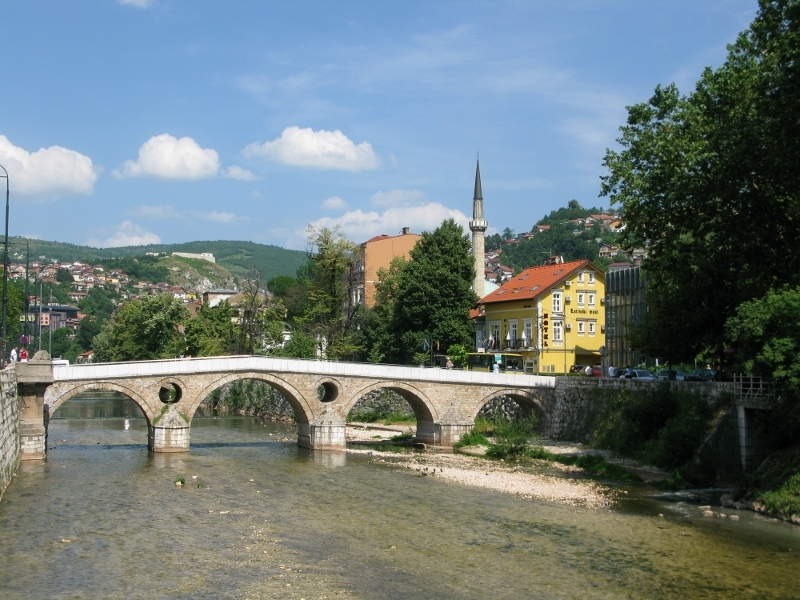 Ps of course Sarajevo was where an assasination by Serbian Nationalists started off the First World War! Having been to Baku and seen how Azerbaijan treats Armenia and not understanding that either, I don’t think it’s as easy as you make out to understand what when on in Sarajevo. That there were atrocities cannot be denied. Yet the root cause of why this all kicked off in the first place isn’t as clear cut. Paper will take any print and everyone has their own version of reality – of history – of the side they were on. The ones I feel for are those who were in mixed marriages and refused to take either side… that no-man’s land must have been horrific. 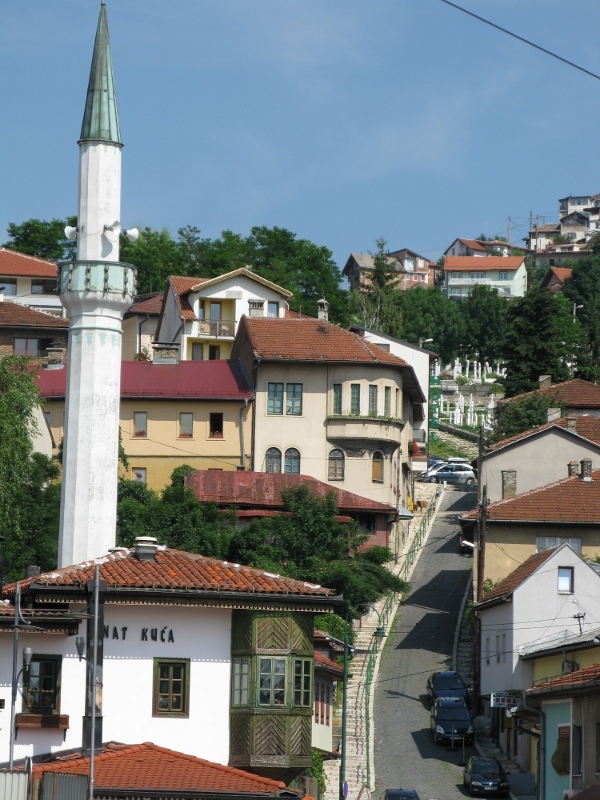 While I was in Sarajevo I heard of a Serb killed by his own for standing up for his mate, a Bosnian-Muslim. That’s where the lines blur. Canadian soldiers, who were one of the main ones stationed in Sarajevo during the war, eye-witnessed Bosnian Muslims staging and provoking attacks. 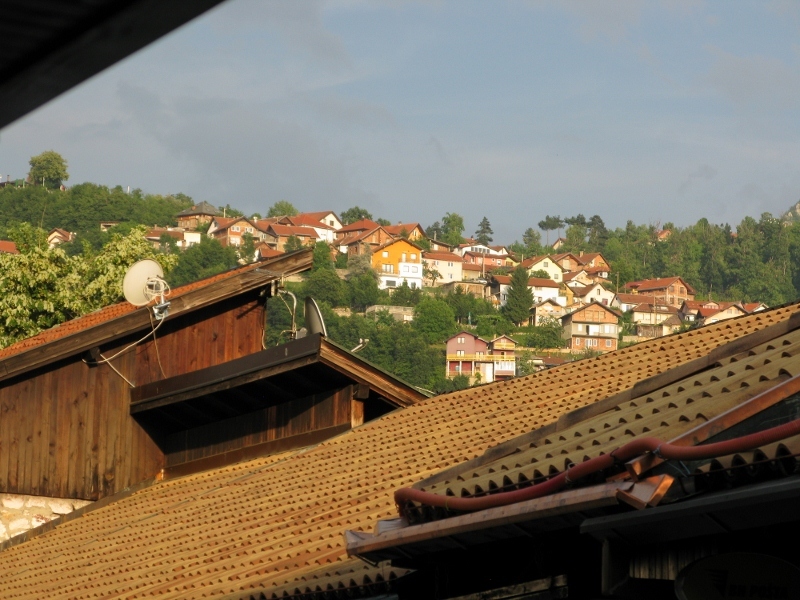 They were there when the Bosnian Muslims shelled their own children – just below a building where the Canadians were. Get the book “Sharp End: A Canadian Soldier’s Story” by James R. Davis. He says they did it for PR purposes. The media was very much used as a driving force to push this war and demonize the Serbs. Other UN personnel (non-Canadian) who were there witnessed similar stunts by the Bosnian Muslim forces, which, by the way, vastly outnumbered Serb forces within Bosnia. The Bosnian Muslim forces were 200,000 and the Bosnian Serb forces have been listed as low as 30,000 – they had a man-power shortage. In addition Croatia stationed 40,000 soldiers in Bosnia throughout the war. Croatia was not sanctioned for this. The Croat soldiers went after the Bosnian Serbs at the beginning – either independently or jointly with the Bosnian Muslims. Then later the so-called Muslim-Croat war broke out – from around October 1992 through the end of February 1994. It was only western pressure which forced them together, as the west wanted them to jointly work against the Serbs again. 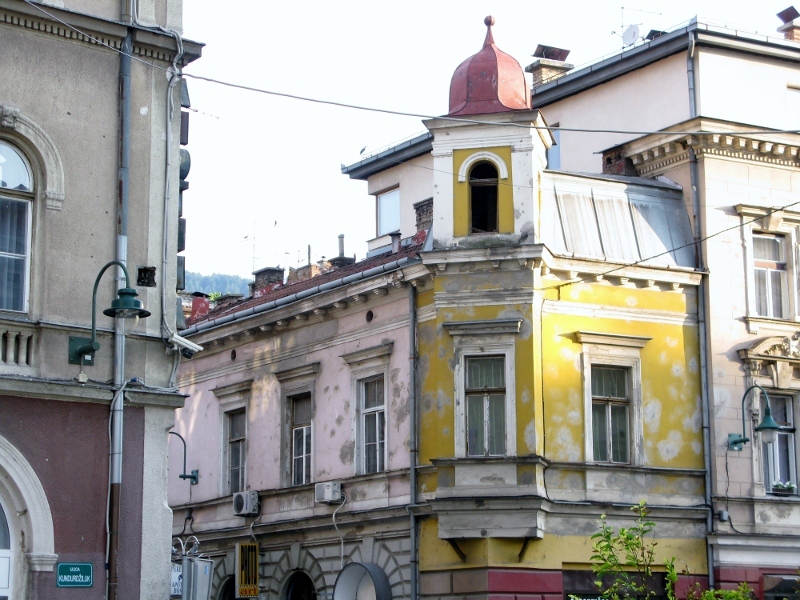 Sarajevo was actually a divided city, with the front lines near to the infamous Holiday Inn. Most all the damage was along the front lines where the two forces met – and that’s testimony of a UN officer at the ICTY. Nebojsa Malic, contributor to AntiWar.com, was a Serb boy trapped in the Muslim section, and he says the Serb held parts of Sarajevo ended the war more damaged than the Muslim-controlled ones. And he should know if he lived there the entire war. 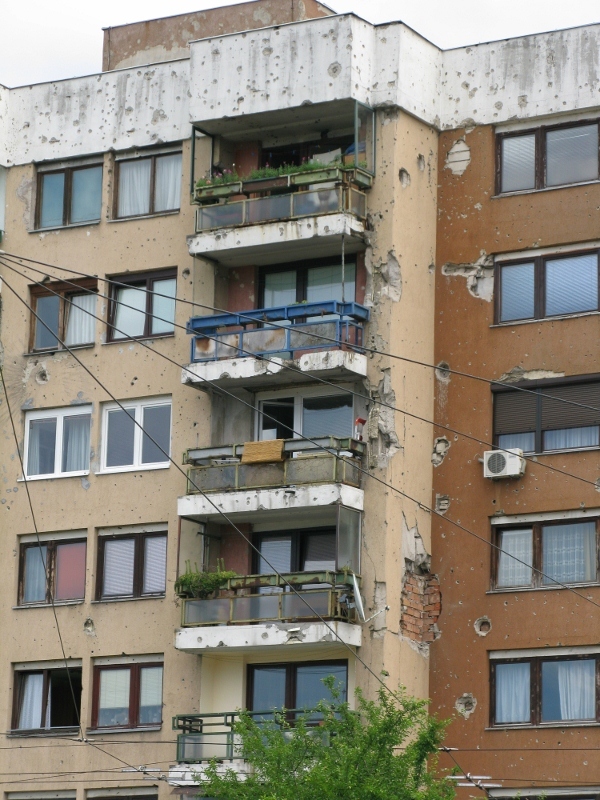 Also a UN officer did state that the Muslim/government forces did use buildings along “Sniper’s Alley” – they knew Serbs would automatically be blamed for these attacks. It was their M.O. ; it was done for PR, as James R. Davis, the Canadian soldier, writes in his book about the Muslim units. He called them “animals” after the attack on the children. They weren’t innocent in the least and they kept Serb civilians in concentration camps, including a grain silo in Tarcin. The media was very much used as a driving force to push this war and demonize the Serbs: I have heard this before and unfortunately it’s a phenomenon not restricted to the Balkan wars. It’s so hard to know what to believe nowadays. When I was in Auschwitz, I wanted to buy two books – one by a female survivor, the other by a male. The woman in the bookshop insisted that I also buy the memoirs of the SS officer who ran the camp. That there are at least two sides to every story cannot be denied. But all too often only one side is heard. Thanks for your comment, JJ. I will be buying that book.